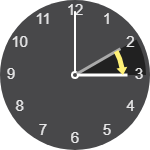 When local standard time is about to reach Sunday, March 10, 2019, 2:00:00 am clocks are turned forward 1 hour to Sunday, March 10, 2019, 3:00:00 am local daylight time instead. Sunrise and sunset will be about 1 hour later on Mar 10, 2019 than the day before. There will be more light in the evening.